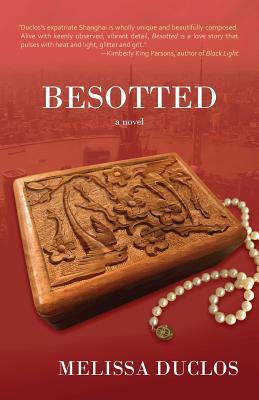 Besotted is the ballad of Sasha and Liz, American expats in Shanghai. Both have moved abroad to escape--Sasha from her father's disapproval, Liz from the predictability of her hometown. When they move in together, Sasha falls in love, but the sudden attention from a charming architect threatens the relationship. Meanwhile, Liz struggles to be both a good girlfriend to Sasha and a good friend to Sam, her Shanghainese language partner who needs more from her than grammar lessons. For fans of Prague by Arthur Phillips and The Expatriates by Janice Y.K. Lee, Besotted is an expat novel that explores what it means to love someone while running away from yourself.